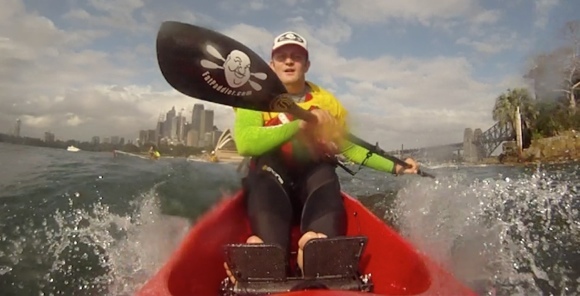 Get a “Fat Paddler Eye View” of Sydney’s major charity paddle event, the Lifestart Kayak for Kids. 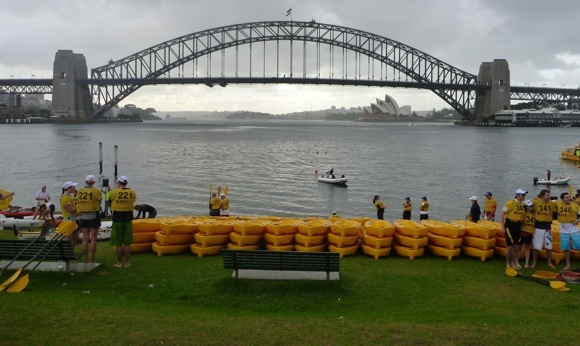 Starting under the Sydney Harbour Bridge, the 17.5lkm paddle meanders along Sydney Harbour’s shoreline, passing Middle Head (facing the ocean swell off the Tasman Sea) and finishing at Clontarf Beach. Looks like you were moving at a pretty good clip, you went from a bunch of boats ahead of you to almost alone. No coffee boat stop in the video? If I am ever in Sydney, I think the coffee boat might be the highlight of the trip 🙂 Good music in the video, btw. I gotta hire me some of those kids next year to push me around the buoy turns. My Mirage doesn’t turn so good either … how much did he charge ? Fantastic .. loved it .. thanks FP. *chuckle* if you look closely, he has a water-pistol in one hand, and was shooting paddlers as they went past. Tim didn’t realise, shot the boy and got a full blast back at him in return!! By my calculation I’ll need 8 of the little buggers. 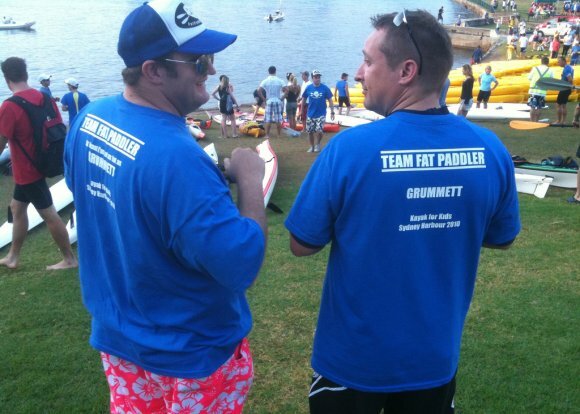 A couple will have to wear PFDs ’cause they might be bobbing around for a while. I might have to replace one with an adult for the turn at Obelisk Beach. That will push my costs up !